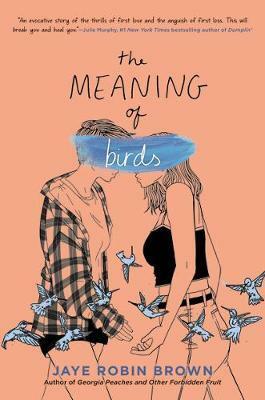 Not to be missed by fans of Nina LaCour and Becky Albertalli, this powerful novel-from the acclaimed author of Georgia Peaches and Other Forbidden Fruit-paints a poignant portrait of love in the past, grief in the now, and the healing power of art. Ever since her father's death, Jessica has struggled with the anger building inside her. And being one of the only out teens in school hasn't helped matters. But come sophomore year, all that changes when effervescent Vivi crashes into her life. As their relationship blossoms, Vivi not only helps Jess deal with her pain, she also encourages her to embrace her talent as an artist. Suddenly the future is like a blank canvas, filled with possibilities. In the midst of senior year, Jess's perfect world is erased in an instant when Vivi unexpectedly passes away. Reeling from another devastating loss, Jess falls back into her old ways. She gets into fights. She pushes away her family and friends. And she trashes her plans for art school. Because art is Vivi and Vivi is gone forever.